Numerology is a ray of hope, proof that there’s more than one way to build software for making music live and in the studio. Instead of locking you into yet another multitrack recorder, it’s an open canvas for combining sequencers into note-making machines. But maybe the idea of using some idiosyncratic modular step-sequencing environment just hadn’t quite won you over. Quietly working away in New Mexico, developer Jim Coker has been working away on a new Numerology to change your mind. 3. It uses your Ableton Push, and its grids let you get away from the computer screen. 4. 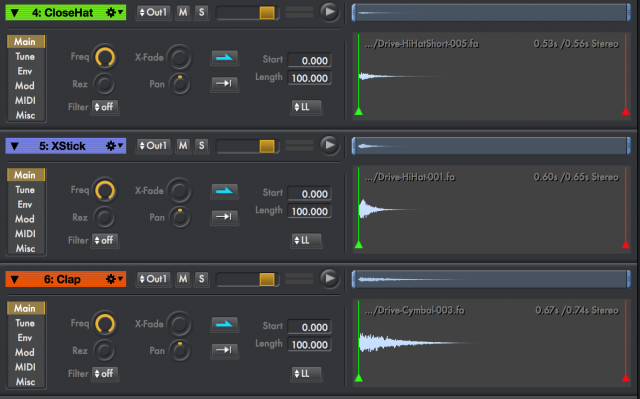 It has increasingly-powerful sampling and real-time automation. 5. It turns your computer into a ready-to-play library of useful stuff – save stacks of modules (or use pre-built tools), then browse them easily. In other words, Numerology returns us to some of the things we wanted out of a computer in the first place. Numerology 4 — sequence + modulate from Five12 on Vimeo. Grid mapping expands from Novation’s Launchpad to Ableton Push, Livid OHM RGB. Multiple grids run at the same time, which means one might transform rates and key while the other controls notes. You can add per-step probability and accidentals to those grids, too, or play melodies. 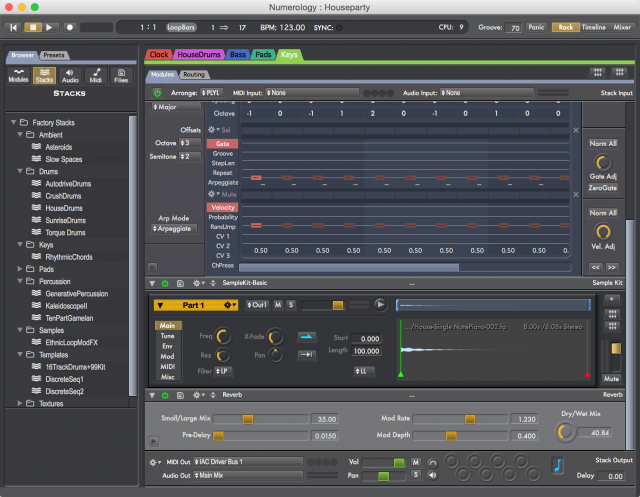 Real-time automation lets you record and play looped transformations of your patterns, too, up to 64-beats – via MIDI or OSC. The multi-panel browser manages module presets, stacks of modules, audio and MIDI files. Drag and drop to make your own stacks, and preview audio right in the browser. Each stack also gets its own MIDI loop recorder, and you can drag and drop to export, making this a great way to make patterns for Ableton Live, Maschine, and the like. There’s a smarter sampler: zoom waveforms, use multi-part patches. 32-, 64-bit support in standalone, ReWire, and plug-in (VST, AU, AU MIDI) modes, including Logic Pro X AU MIDI support. In Pro, you get unlimited undo/redo, plug-in delay compensation and even latency with external instruments, expanded OSC (with Bonjour for zero-configure, automatic networking), and more. Pro is US$199, Standard (if you don’t need fancy plug-in or OSC support and just want to use MIDI) US$129. Upgrades from Numerology 3 are $39 until December 27th, $49 thereafter.